We’ve come across an internal document from Bell Mobility that’s bound to raise the hopes of a few good Canadians. Yes folks, we’re talking Ice Cream Sandwich. The carrier to the north estimates that it’ll have Android 4.0 ready for the Sensation in February, which is to be followed by the Raider’s update in March — this handset may be more familiar to AT&T customers as the Vivid. Pulling up the rear, users of the Galaxy S II are to expect the upgrade in April, and while the Optimus LTE is also mentioned, there’s no specific time frame for that one. Certainly estimated release dates don’t always come to fruition, but at least we know what Bell’s aiming for, anyway. Bell Mobility hints at Ice Cream Sandwich release dates for Galaxy S II, Raider and Sensation originally appeared on Engadget on Sat, 17 Dec 2011 17:17:00 EDT. Please see our terms for use of feeds. Two weeks ago, smack-dab in the middle of the CarrierIQ saga, Senator Al Franken pounded his fist on the table and demanded answers. He wanted to know what CarrierIQ is all about and why several US mobile providers and manufacturers felt the need to install potentially invasive software on the phones of unsuspecting consumers. 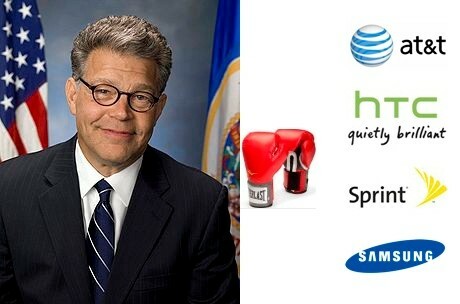 Senator Franken sent Sprint, AT&T, T-Mobile, Samsung, HTC and Motorola a series of thirteen questions each, trying to get to the bottom of what each company is doing with the mysterious software. So far, all but T-Mobile and Motorola have complied with the Senator’s wishes, as the two remaining companies were given until December 20th to have their responses submitted (we’ll update this post as those are made public). As we reported previously, the Senator wasn’t all too pleased by what the companies had to say. But what exactly is found in these pages and pages of documents? A few answers, and some more questions. We have pored through each company’s letter, so follow us below as we break down their responses to each of the Senator’s queries. Note: The level of involvement by the government seems to be making an impact, as Sprint is now disabling all Carrier IQ software on its devices so that data cannot be collected anymore. Its response to Senator Franken, however, should not be discounted as it provides insight into why the carrier’s been a “valued customer” of CIQ’s since 2006, and how it’s been using the data it has collected over the past five years. Read on! Senator Al Franken asks about Carrier IQ, the companies answer: the complete breakdown originally appeared on Engadget on Sat, 17 Dec 2011 15:00:00 EDT. Please see our terms for use of feeds. 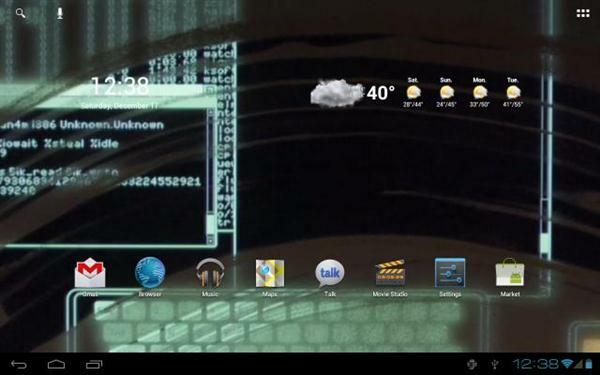 Only a day after Google released Android version 4.0.3, one XDA developer has already installed it on his Motorola Xoom WiFi tablet — making it the first slate to run the frosty Ice Cream Sandwich upgrade. Of course, trendsetting is nothing new for the Xoom, which was also the first to ship with Honeycomb’s sweetness back in February. Being first does have its disadvantages, though, as some of the features like the camera don’t work, and there seems to be a green overlay on the screen from time to time. If you’re willing to overlook these early adopter flaws, head on over to the source to satisfy your ICS-inspired sweet tooth and try it for yourself. Motorola Xoom tablet gets an Ice Cream Sandwich makeover with 4.0.3 originally appeared on Engadget on Sat, 17 Dec 2011 14:37:00 EDT. Please see our terms for use of feeds. This entry was posted on December 17, 2011, 5:43 pm and is filed under Mobility. You can follow any responses to this entry through RSS 2.0. Both comments and pings are currently closed.